Shayy started losing her vision about a year ago. She went to the eye doctor expecting to need glasses, but the news was worse than that. After an exam, they immediately sent her to the hospital. They discovered a brain tumor, which may have been there for years, and was pressing up against her optic nerve. 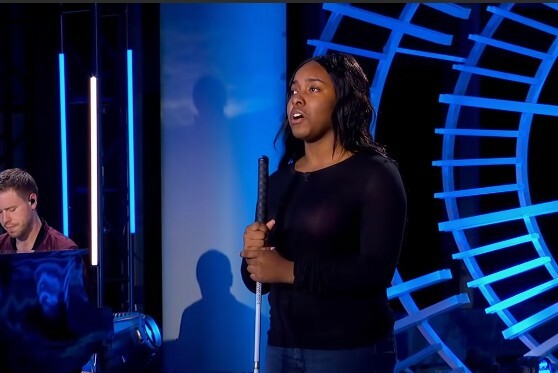 They managed to remove half the tumor in an attempt to save her vision, but it wasn’t enough to stop her from going blind to the point that she would need a cane to navigate. 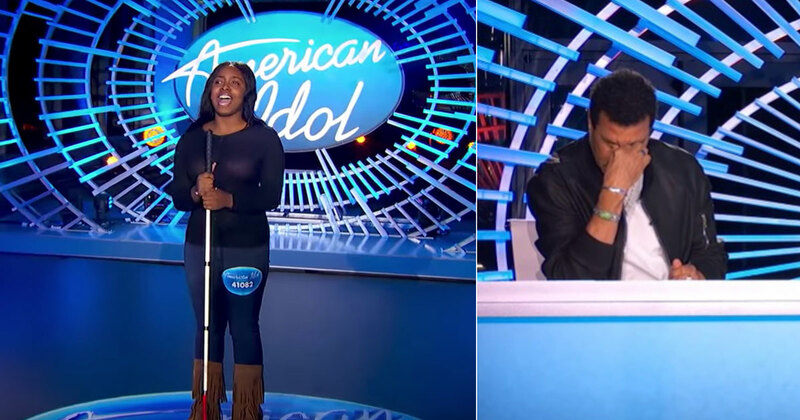 It wouldn’t stop this blind contestant from going to give the performance of a lifetime. 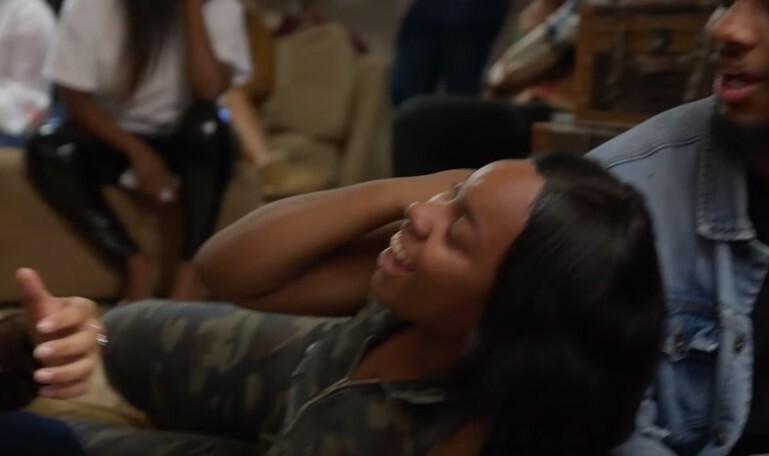 When she came home from the hospital, her vision was still getting worse. Going home was okay but returning to school would be a challenge. She discovered that many of the students were not accepting of her as she went through the halls with her cane. They would get in the way of it or trip her up. There was a lot of bullying that she had to deal with. Thankfully, she also found that people can be kind. She discovered many students and faculty at the school who wanted to support her, both emotionally and in continuing her education. There were genuine people in her corner who wanted to help her. 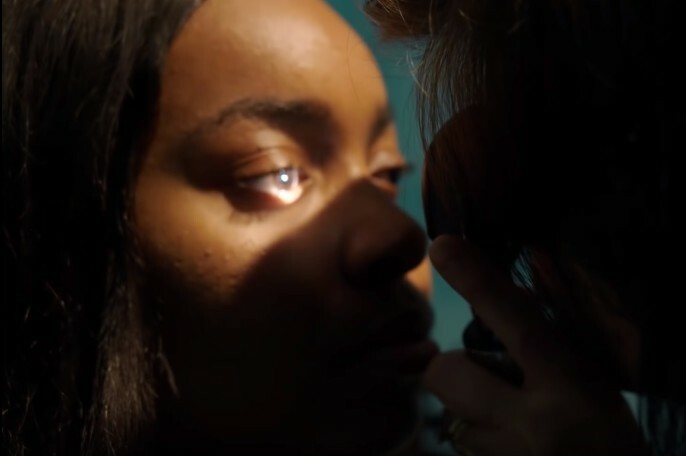 She slowly learned that being blind doesn’t mean you are no longer you or that you can’t do anything anymore. You can still do what you used to do, you are still the person you used to be. You are still capable of doing so much, it’s just that, at least in her case, you can’t see as well anymore. That support really did help her to rise up. 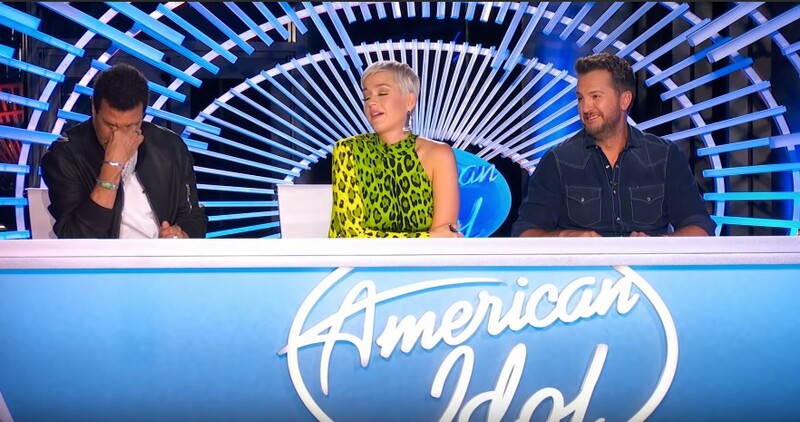 She went to American Idol 2019 at the age of 17, a year after going blind. She stood on the stage and told the judges part of her story. When she was done, she began to sing Andra Day’s “Rise Up” with an amazingly clear, powerful, and confident voice that filled the air. As the Luke Bryan would say after, the music seemed to flow straight from her soul. 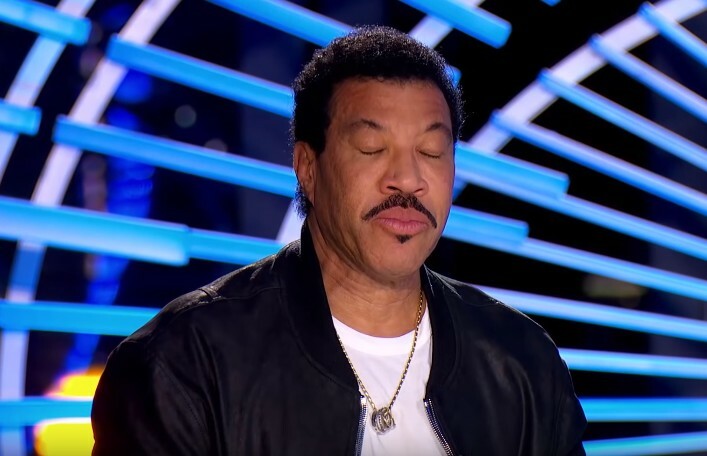 She almost immediately brought Lionel Richie to tears as he tried several times not to well up during the performance. When the singing was over, he was compelled to come hug her. After sitting back down with the other judges, he said that her music and spirit had genuinely touched him. As he spoke to Shayy, we could see her mother in the background off to the side of the stage with a tissue in hand. 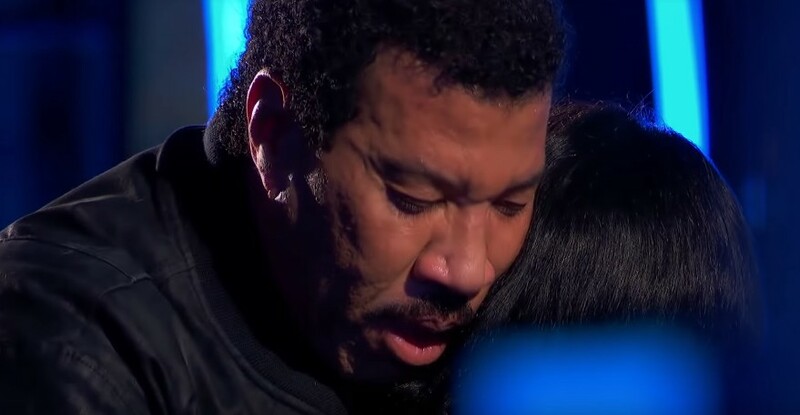 Lionel Richie wasn’t the only one in tears. Katy Perry was also moved and said that she sung like an angel. The judges had no issues with agreeing. They decided unanimously that Shayy would be going to Hollywood. 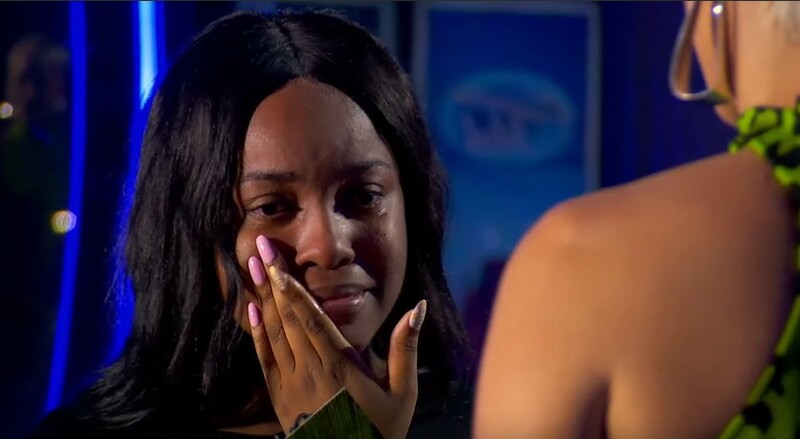 When Shayy went backstage, there were tears everywhere as she held up the golden envelope that meant she would be going to the next round and her family laughed and cried with her. There wasn’t a dry eye in the building.